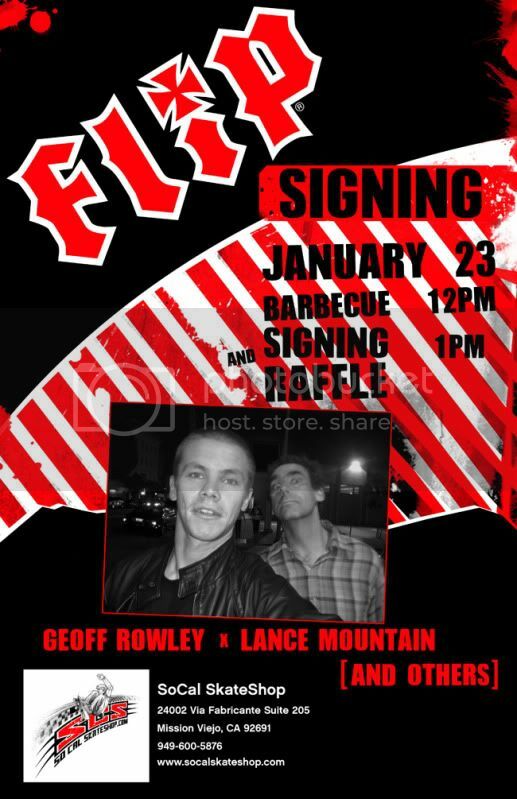 This Saturday, January 23rd, Geoff Rowley, Lance Mountain and other Flip riders are doing a signing at SoCal Skateshop in Mission Viejo, CA. Make sure and get there early because there’s going to be a BBQ and raffle!! BBQ starts at 12PM and signing and raffle at 1PM.